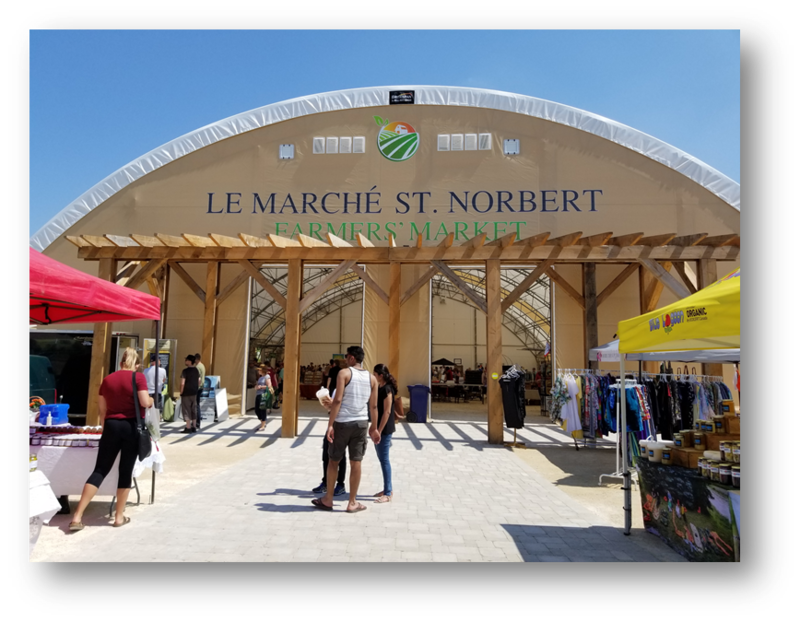 Since assisting the St-Norbert Farmers’ Market through a planning exercise, Vision 20/20, in 2009, Entreprises Riel has helped the market in many initiatives within this plan. The latest undertaking was the building of a permanent shelter onsite, allowing the market to open year-round, as well as for special events. As a pilot project, the market rented space in a hall across the street to see how its clientele would respond to a winter market. Seeing how successful it was and acknowledging the need for better shelter even in the summer months, a plan to erect a permanent structure was launched. With a grand opening held in conjunction with the opening day of the 2018 season, the shelter now allows producers to get their product to market year-round. We were pleased to assist the market as this required navigating through the public consultation and the zoning process at the municipal level.